← 8 Things You Should Know as a Beginner in Implantology! This is a big question for every Female dentist that how to balance personal and professional life as a woman. 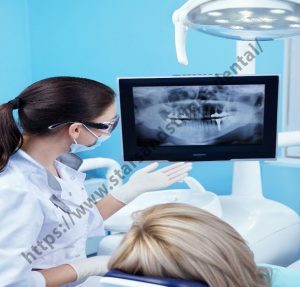 In Dentistry it is very important to provide quality care to your patients as an implantologist because customer satisfaction and successful surgery will take you at the peak of your dentistry carrier. Implant Surgery requires training after graduation, if you want to become implantologoist you have to go for 3 years of program and lots of training and experience in placing implants that might be not possible for everybody to go some other place and learn Implantology. SNS Dental will provide you with only 7 online lectures which you can see at your convenient time and after that 1 live surgery at your doorstep. At SNS Dental, our experts’ team of the surgeon give dental implant training at your convenient time and this will help you to prepare your computer-guided treatment plan, guides, etc. Make your implant case successful by present with you at the time of some initial surgeries and our team will provide marketing services to build up your business. To start Implantology you need to do lots of investment in buying the kits, motor, guides, and marketing plans and it all cost very high. As a beginner, you can’t afford all this investment. SNS Dental will fulfill all these requirements. Stars and Stripes Dental academy would overcome these barriers and help-out women implantologist who want to start their practice without any barrier. These headaches can be taken away and we can help you out from all these barriers. Even though you cause all these barriers you only get the patient from marketing, usually dental marketing is not that much prevalent, because you are working for part-time as women, so u wants to do these things from the outsource, who take care of these things for you. Contact SNS Dental for a break all these barriers and grow your business successfully.